The staff are chosen to enhance the friendly, family atmosphere. All have proven skills in childcare and work closely with the principal to achieve the school aims. A staff development programme is followed. Virginia Roden started her career as a teacher in a girl’s secondary school in Guildford, Surrey. 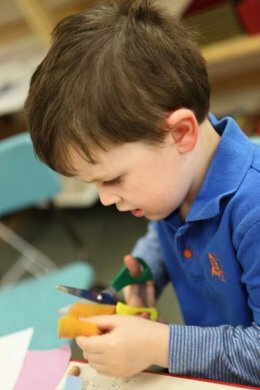 Some years later, having started her own family, she discovered the Montessori system by chance whilst searching for ways of stimulating her own young pre-school children. 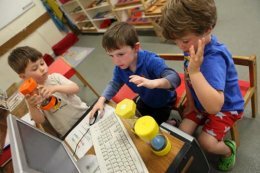 Before long she had signed up for the diploma course, soon became qualified as a Montessori teacher and started working in a highly regarded Montessori school in London. A move to High Wycombe in 1995 necessitated a break with London but provided a chance to develop her own schools locally. 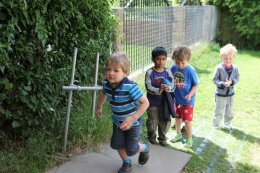 Sunshine Montessori School is now a thriving school in the heart of a small village bordering on to woodlands and common land close to the Buckinghamshire town of High Wycombe. Cookham Montessori School, situated in the delightful Thames-side village of Cookham, near Maidenhead, was acquired some years later. Both provide children from near and far with a wonderful start to their school life. Sunshine Montessori Full Day Care Nursery at Wheeler End, High Wycombe opened its doors for the first time on 1st September 2008. 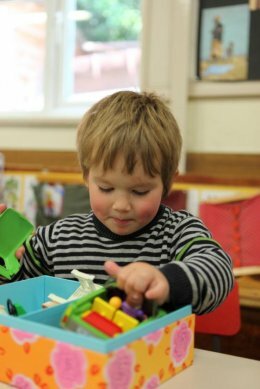 It is the only full-time Montessori nursery in the area and is proving very popular as it provides the hours and flexibility that full-time working parents need.